Whether your vanity is cursed with too little counter space, suffers from cramped storage or is still begging for mint green tile to come back in style, replacing it is probably in your bathroom remodeling plans. Removing a sink is simple enough for someone with a little DIY savvy, but to make sure everything goes according to plan we broke it down step-by-step with help from Mike Bowman at Trade Winds Imports. Before you start replacing your bathroom vanity, you need a plan for what to do with all of the debris. If you're careful, most sinks and vanities can be donated or resold. Free-standing vanities are easier, as they don't require a complicated removal process, but even if you have a wall-mounted version, you can often salvage the entire piece. On the other hand, if your vanity is damaged, it may be best to toss it. With all of the hardware and bulky items, most vanities can't be left out at the curb, especially if they are part of a larger remodeling project. Renting a small 10 or 15 yard dumpster will do the trick for all of your construction debris. Once you've decided on your disposal option, it's time to gather your materials. Shut off the main water valve, which is located either in your basement or on an outside wall in a utility area of your home. Remove your drain stopper. Keep in mind that the exact process will depend on what type you have. Place a bucket under the sink drain and P-trap. Use an adjustable wrench to unscrew the nuts around the pipe. Unscrew and detach the nuts that connect the sink's water supply lines where they come through the wall. When demolishing your bathroom, you'll need to work in reverse order. Meaning that the last item installed should be the first thing to go. "In almost all cases, the mirror goes first. This is for the simple reason that in most bathroom builds, the mirror is installed after the cabinet and fixtures." Begin by covering the mirror with packing tape to help prevent cracks and damage. If your mirror is screwed to the wall, use a screwdriver to loosen and remove them. For mirrors adhered to the wall, start at the top, and gently begin working the pry bar behind the glass. To protect your wall from damage, slide a wood shim beneath the pry bar as you apply pressure. Work your way around the mirror while supporting the top to prevent it from falling. Once the mirror is loose, carefully carry it out of the bathroom. After the mirror has been taken down, it's time to tackle your tile and backsplash. Follow these steps to safely remove your wall tile. Start at a top corner of your backsplash and break up one tile, using a chisel to pry it from the wall. Work in a horizontal line along the top section of your backsplash, inserting the chisel carefully under each tile and using the hammer to help pop each piece loose. Continue this process until all tile has been removed. Note: If your bathroom sink and vanity top are one piece, skip down to the next step. Once you've cleared up the debris from removing the backsplash, it's time to start work on the vanity itself. First, you'll need to remove any clips that fasten the sink to your vanity's countertop and cut away any sealant and caulk with a utility knife. Next, carefully lift the sink straight up from the counter. Sinks can be extremely heavy, so if you aren't sure you can manage the task by yourself, grab a helping hand. With the sink gone, it's time to get rid of your old vanity top. Break the caulking seal attaching the back of the vanity top to the wall. Unscrew the countertop from the vanity cabinets. Cut through any caulk between the vanity top and cabinets. Lift the vanity top free from the cabinets below. "The back of the cabinet is often secured to studs in the wall, so you'll want to unscrew those first," explains Bowman. Built-in and wall-mounted vanities often have caulk adhering them to the drywall and floor. After removing the screws, use your putty knife to cut through the caulk and slowly pry your vanity away from the wall. What Will Replace Your Old Vanity? Now that you've successfully removed your bathroom sink and vanity, it's time to find a new piece that will complete your space. 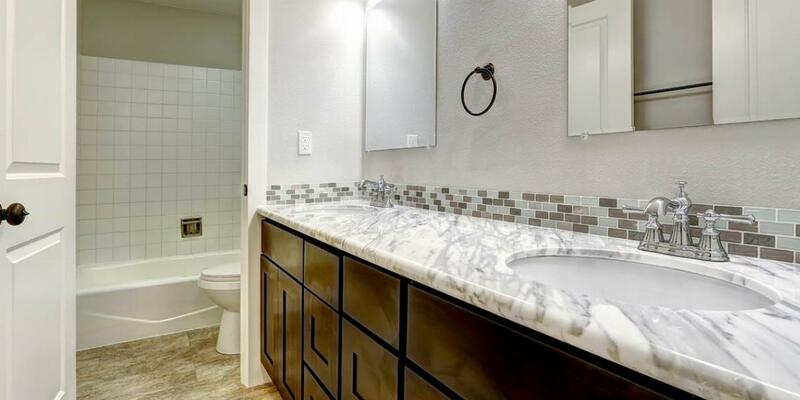 There are two important factors to keep top of mind when choosing a vanity: size and style. "If you're getting rid of an old vanity and want to replace it with one of the same size, make sure your measurements of the old vanity include any width beyond just the cabinet. We always stress to our customers that it's better to have a vanity that's a little too small than one that's too big, and that they should take all dimensions into account." Unsure what you want your new vanity to look like? Take a look at the metal finishes in your home and try to find a vanity with a matching style. Bowman recommends going with a "transitional" look as they fit into most designs and won't go out of style any time soon. Ready to take on your next bathroom project? If you're feeling up to the challenge, check out our posts on how to tear out your tub and convert it to a walk-in shower. 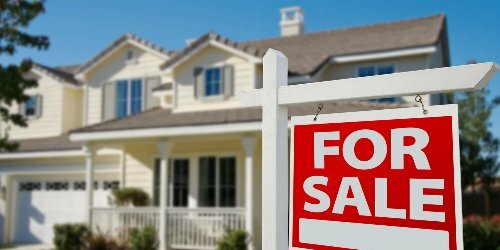 Most realtors say spring is the best time to sell a house, but is it the right time for everyone? Read on to see if there’s a better time of year for your property. DIY vs. 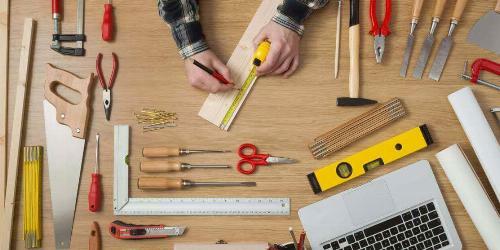 Pro: Which Home Improvement Projects Can You DIY? Find out which home improvement projects you can do yourself and which ones are better left to a professional.